Planning to start a family in Singapore? Well, you couldn’t have picked a better place. The medical facilities are world standard and there are many good gynaecologist or obstetrician offering maternity packages. This usually consists of prenatal package and delivery package. Check with your gynae before you select your preferred hospitals as most gynaes tend to work only at certain hospitals. The costs for delivering a baby in Singapore depend on whether you choose private or public hospital, the kind of ward you want which ranges from single, private room to four-bedded room, normal delivery or Caesarean delivery. Singapore offers several birthing options, like home birth, water birth, hypno birth, vaginal birth after caesarean. It is advisable to let your gynae know as early as possible your preferred birthing option. All births must be registered within 14 days from the baby’s date of birth so that a birth certificate can be issued to the newborn. This is done at the Registry of Births and Deaths, at the Immigration & Checkpoints Authority of Singapore (ICA) (http://www.ica.gov.sg/page.aspx?pageid=144) The newborn does not automatically become a Singapore citizen unless one of the parents is a Singapore citizen. The Singapore Birth Certificate is required to obtain your baby’s birth certificate and passport from your respective High Commission/Embassy if you are not a Singapore Citizen. Birth registration must be done by the parents of the newborn or by a proxy with a letter of authorization from the parents. 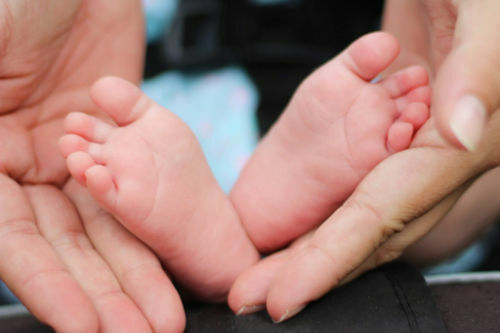 Documents required for the birth registration include a Notification of Live Birth form which will be issued by the hospital or doctor delivering the baby, identity cards of both parents and the original marriage certificate. Non Singaporean parents will need to produce their passports, valid entry permits, embarkation/disembarkation cards issued by the immigration department.